Bio Groom Fluffy Puppy Tearless Shampoo 12 oz. 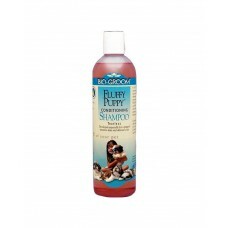 is developed especially for a puppy's sensitive skin and delicate coat. This pure and natural conditioning shampoo cleanses thoroughly and effortlessly. Without stripping the natural protective oils from skin and coat.